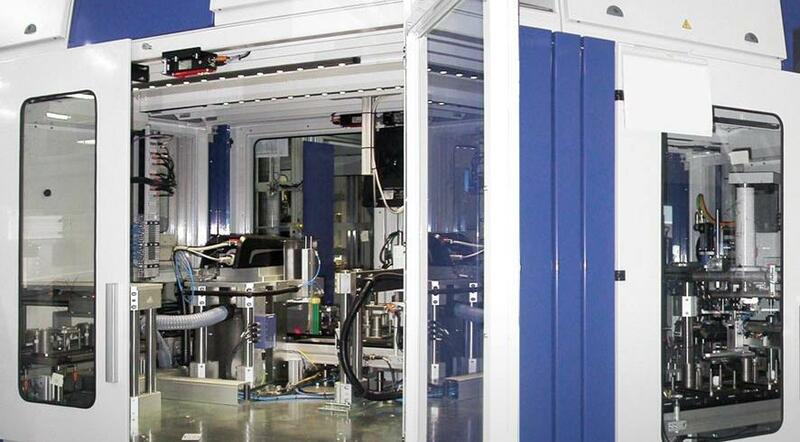 13 Scara robots, 10 electric presses, several volumetric dosage systems, precision scales to control the dosed quantity, seal tests, in addition to around 20 vision systems, from the simplest for model detection to the most complex to control the correct positioning of components with micrometric repeatability, have been integrated within the line. Besides, each component is loaded with automated systems for separating trays or carts. 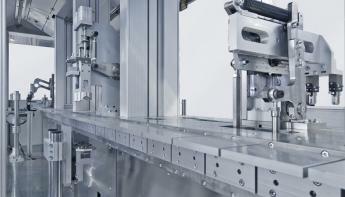 Master cycle handling is fully automated and featured by great accuracy in components manipulation. During the assembly process, the analysis station with electronic handling ensures high precision in insertion, screwing, calibration and tension testing stages. Its applications are manifold: from quality control due to the several vision systems to assembly stages diagnostics through dedicated sensors, up to electric pressing with force/ displacement control, components magnetization and lubrication with volumetric check and dosed quantity weighing, and so on. A station of the plant is dedicated to seal as well as functional tests, followed by product packaging through laser marking. All the information about the assembly and testing process are stored in the database. 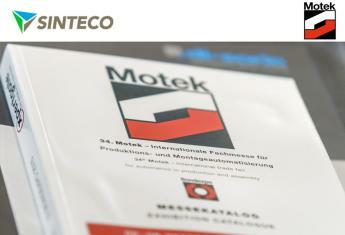 Sinteco experience guarantees the plant design and manufacturing, not only regarding pure mechanics, but also in order to provide the customer with the highest process reliability. The attention has also been paid to projects management as well as quick response, in order to provide a complete and tailored service that meets project timing. 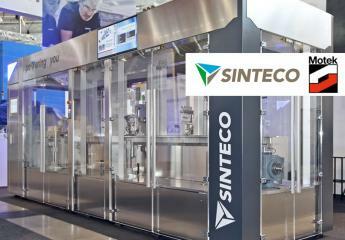 This is only one of the several examples from Sinteco that strongly rely on innovation and high quality.